I checked out this book from the library purely on a whim. 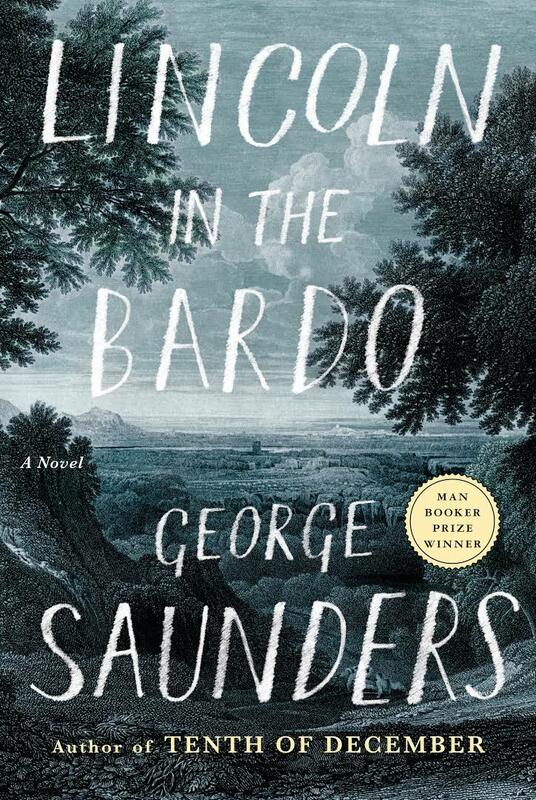 I saw an article celebrating George Saunders winning the Man Booker Prize for this novel and figured since part of my reading goals for the year were to stretch myself and push my usual reading boundaries to writers and genres I don't normally read and Lincoln In The Bardo, as it turns out more than fits the bill. The novel opens in February of 1862 in Washington DC with the Civil War raging and the country just starting to realize that the conflict is going to be longer and bloodier than they imagine. While the White House holds a grand soiree, young Willie Lincoln lies upstairs, racked with typhoid fever and eventually, he succumbs to it and dies. History records that the Lincoln returned to the crypt where his son was buried several times to hold the boy's body. Willie Lincoln, however, finds himself in a transitional state, a purgatory (or in the Buddhist tradition, the Bardo) which is populated by ghosts who mingle, gripe, commiserate and try and convince themselves that they're not dead, merely 'sick' and that somehow they'll find a way back to what they once were before, even as they enact various penances for their misdeeds in life. Periodically, members of their population will transition onward to whatever was next. The main trio of ghosts are Hans Vollman, Roger Bevins III and the Reverend Everly Thomas. Vollman had a young wife, who made him happy until a beam fell on his head and killed him. Bevins (who is gay), committed suicide when his lover decided to break it off with him and 'live correctly.' They note the appearance of young Willie and when he doesn't immediately transition onward to whatever is next, they decide to figure out why and help him get where he needs to go. They quickly realize that it's his father who is keeping him there. Lincoln comes back to the crypt to view Willie's body and Willie goes into his father to try and find out what's going on (not realizing that he's dead) confused, he feels his father's grief and retreats, not understanding his predicament and as Lincoln leaves, the battle for his soul begins as dark forces begin to try and trap him there for all time. The trio of ghosts springs into action and, upon realizing that they too can enter the living attempt to bring Lincoln back to help Willie try and understand what's really going on. They're initially unsuccessful in the attempt, but Lincoln comes back eventually for another visit and after one more trip into his father, Willie realizes that he has died and it's time to move onto what's next. Proclaiming the word to the assembled ghosts help many of them realize it too and many depart, now at peace after final acts of penance. Lincoln rides back to the White House, still grieving, but ready to continue the work of his Presidency. I didn't know what the whole deal with the format was with this book. Everything sort of looks like how you'd format a quote or a passage from a book and it's incredibly hard to get your head around at first, but after awhile it sort of starts to flow like a play and the power of the writing starts to shine through. I've wondered from time to time whether I view things differently since I've become a parent and I think this might be a good example of how I do, because the descriptions and portrayals of Lincoln's grief at the loss of his son are haunting and absolutely touching and I think those are probably what stuck with me the most after reading this novel.